Reach Higher. Grow Deeper. Become More. The annual EPA Christian media convention is your chance to step away from daily activities to engage and interact with the EPA community. 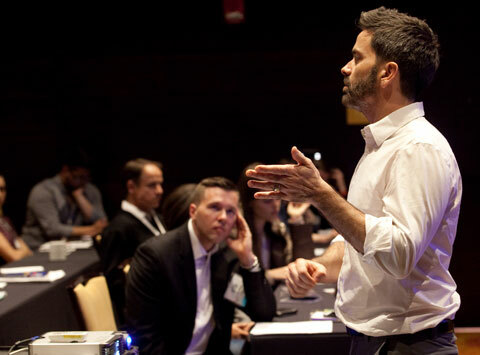 Join together to explore new ideas and learn from one another through powerful seminars, workshops, discussions and presentations. 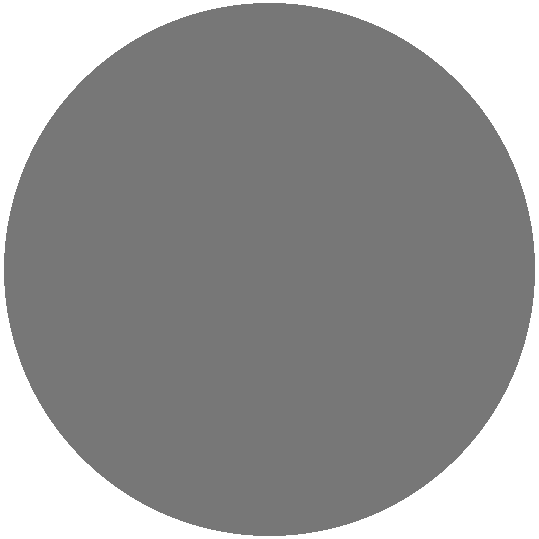 The Evangelical Press Association is the world’s largest professional organization for the evangelical periodical publishing industry, both print and digital. 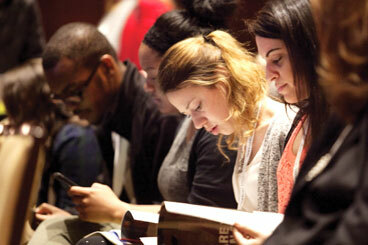 EPA puts great focus on serving God through the written word, whether print or digital. Members of EPA share a commitment to excellence. The convention provides an opportunity to learn new skills and build relationships with editors, writers, designers, publishers and influential personalities in our industry. 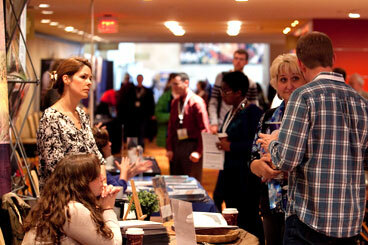 The annual EPA convention is a source of new ideas and creative innovations. 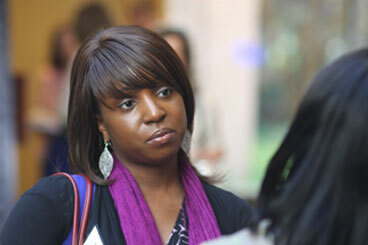 It provides an intense time of professional learning, networking and inspiration. From writers to designers, editors to publishers and seasoned veterans to emerging talents, the EPA convention provides an opportunity to grow and become something greater. This is not just an association, but rather a unique and tightly woven community focused on professionalism, respect and commitment to God. EPA members do not just meet with Christian periodical publishing leaders — they become them. 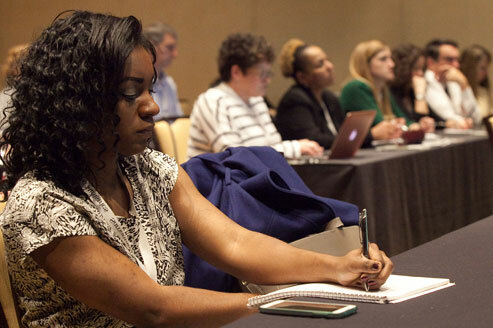 Convention forums bring diverse voices to critical current topics. Leading ministry and industry experts dialogue on viewpoints, trends, and the appropriate response of Christian media to these issues. Monday morning forum — April 8, 2019 • 8:15 a.m. Learn the “art of interviewing” and hear the riveting story of American pastor Andrew Brunson. In October 2016, the Turkish government imprisoned Andrew on false charges of terrorism and espionage. 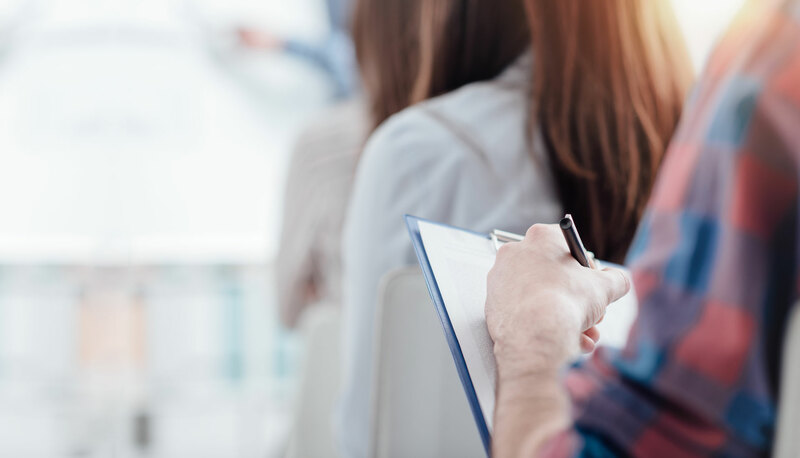 Tuesday morning forum — April 9, 2019 • 8:15 a.m.
Four evangelical leaders from prominent Bible-centered organizations will present their perspectives on Biblical Literacy, which is the 2019 EPA Cause of the Year. Sponsored by Biblica. Opening session | Sunday, 4:30 p.m.
A thought-leading author, pastor, and recognized champion of the Multiethnic Church Movement, Mark planted the Mosaic Church of Central Arkansas in 2001 where he continues to serve as Directional Leader. In 2004, he co-founded the Mosaix Global Network with Dr. George Yancey and serves as its president. Mark has written six books and is an Adjunct Professor at Gordon-Conwell Theological Seminary, and teaches D.Min. courses at seminaries across the country. Morning session | Monday, 8:15 a.m.
American pastor Andrew Brunson served in Turkey for 25 years in church planting, training, ministry to refugees, and house of prayer. In October 2016, the Turkish government imprisoned Andrew on false charges of terrorism and espionage calling for combined prison terms of 35 years. On October 12, 2018, Andrew was freed after two years of detainment in Turkey and allowed to return home to America. Closing banquet | Tuesday, 5:30 p.m.
Carlos Whittaker is a People’s Choice Award winner, a former recording artist signed to a major label, a social media maven, and currently spends the majority of his time writing books and speaking on stages around the world. It really began when the Whittakers found their family in America’s spotlight with appearances on shows like CBS Early Morning, The Today Show and more when their YouTube video, “Single Ladies Devastation,” went viral. 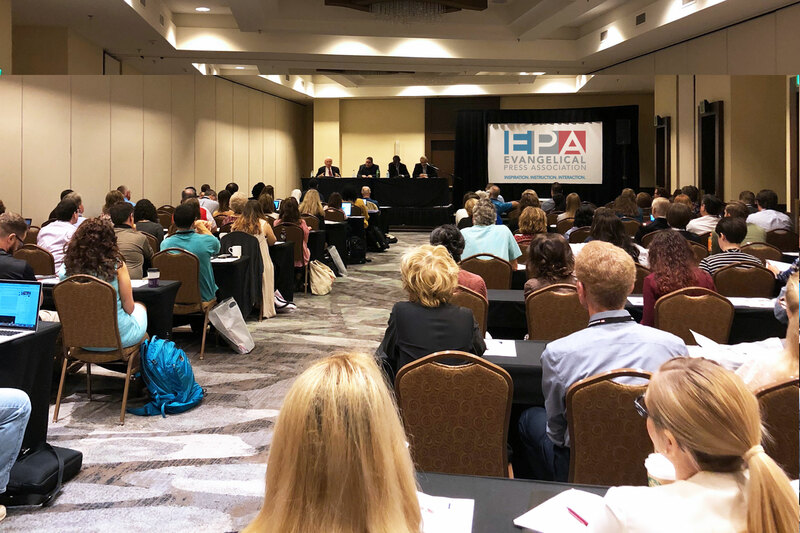 At the heart of EPA conventions are the thirty breakout sessions featuring ministry and industry leaders, individuals who have risen to the top of their professions and are widely respected for their skills and knowledge. A stellar lineup of speakers has been assembled to present a wide variety of workshops on writing, editing, design, photography, technology, social media, management, marketing, and current issues. This is where you will be challenged, trained, and equipped to take your skills to a higher level. For detailed information on the Workshops, click here. 3:15 p.m. - 4;15 p.m.
8:15 a.m. - 9:10 a.m.
9:40 a.m. - 10:35 a.m.
11:05 a.m. - 12:00 p.m.
2:35 p.m. - 3:00 p.m. Follow the link to the Venue page and find a list of all the things to do in Oklahoma City. 2:35 p.m. - 3:30 p.m.
3:50 p.m. - 4:45 p.m. 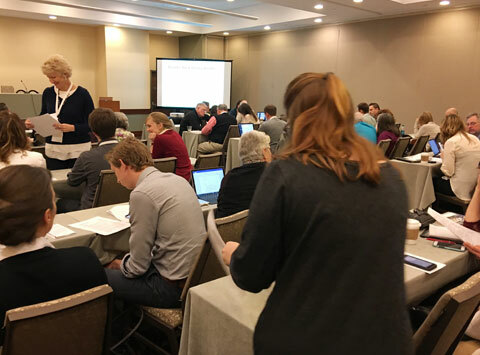 This EPA Convention was a great time of learning, connecting, sharing, and brainstorming. It was great to be around so many other people who were passionate about Christian publishing and I left with lots and lots of ideas! For my first EPA convention, I was very impressed. 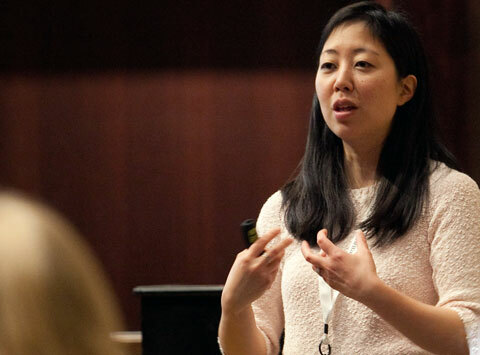 The event ran incredibly smoothly and was well-rounded in terms of workshop offerings and events. I had a great time and will definitely be back as often as I can. I thought the speakers were great. I found all my workshops to be helpful this year. New workshops were offered on topics that I was eager to hear. There was good content and good networking. I was REALLY encouraged this year by a few people, and I came away affirmed in my writing ministry. As a new editor, I loved meeting other people working in a similar field. It left me encouraged and challenged. I greatly appreciated the feedback from the judges’ remarks on our contest entries. They are well worth the fees. I think my personal highlight was just everything I came away with. I got a lot of great information and took a LOT of notes, and it’s exciting to take them home and figure out how to apply them in my context. 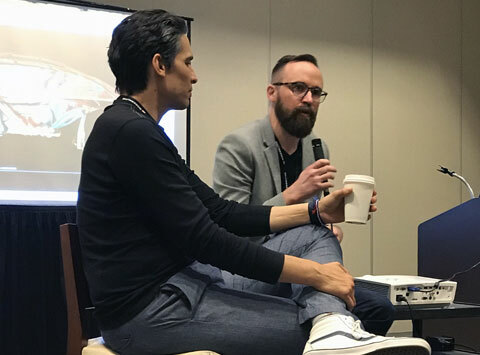 It was also notable that every person I met seemed genuinely interested in connecting with me as a person – very rare and refreshing! Discover the vibrant charm of Oklahoma. Sheraton Oklahoma City Downtown hotel is just steps away from the historic Bricktown Entertainment District, Chickasaw Ballpark (home of the Oklahoma City Dodgers), Myriad Botanical Gardens, Oklahoma City Museum of Art, Chesapeake Arena, American and the Banjo Museum. Families will love the Frontier City Theme Park, designed to duplicate an 1800s frontier town, where visitors see an reenactment of the gun fight at the OK Corral and ride thrilling roller coasters. 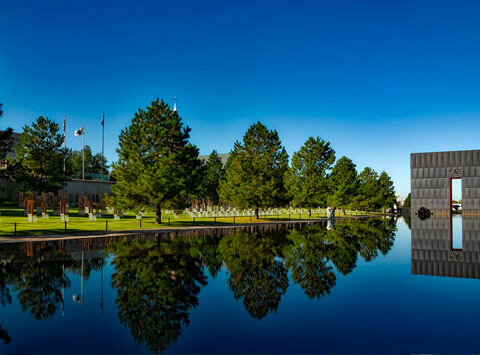 The hotel is also within walking distance of the Oklahoma City National Memorial and Museum, the site of the 1995 terrorist truck bombing. Come discover Evangelical Press Assocation 2019 in Oklahoma City. Unfortunately, no. The hotel is 11 miles from the Will Rogers World Airport (OKC). There are many forms of transportation from the airport to the hotel including taxis, Uber, Lyft, shuttles, vans and buses. Click here to find the transportation you want and where to find it. Is this a member-only event? 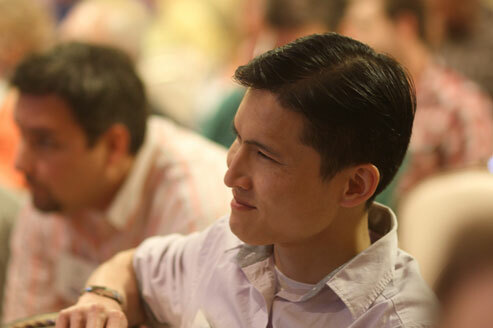 Non-members with a professional interest in Christian media are very welcome to attend. What is planned for the Monday evening free time? Two optional group activities are planned. 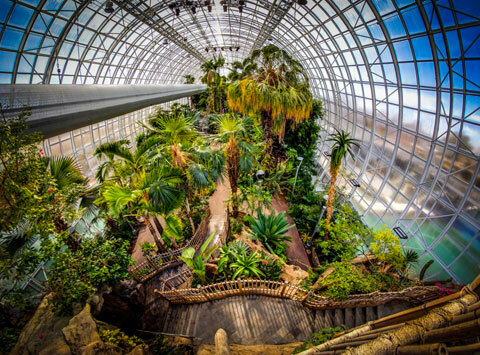 Join a group guided tour of the Crystal Conservatory in the Myriad Botanical Garden or go with a group to the Oklahoma City National Memorial and Museum. Admission fees are $6 and $10 respectively. 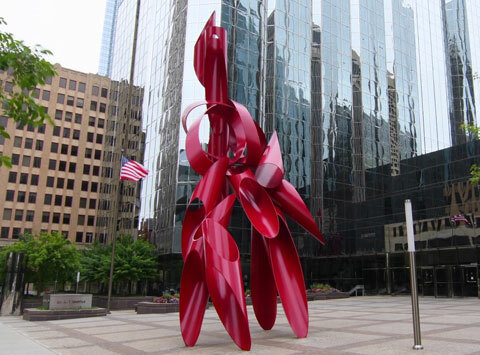 You can also choose to explore many fascinating attractions in downtown Oklahoma City on your own. 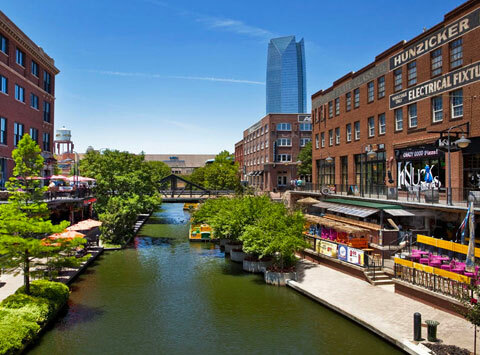 For dinner, saunter over to the Bricktown Entertainment District or Bricktown Canal. Learn more here. Yes, we will announce its availability a few weeks prior to the convention. The registration fee includes five meals: Sunday dinner, Monday breakfast and lunch, Tuesday lunch and dinner. There will also be refreshment breaks on Monday and Tuesday morning between sessions. Breakfast has not traditionally been offered at EPA conventions. This year, a sponsor-driven networking buffet breakfast will be offered Monday morning only. The Higher Goals awards will be split between two days, with most writing awards on Monday afternoon and most design awards on Tuesday after lunch. The Awards of Excellence will be presented at the closing dinner on Tuesday night. Are Person-to-Person Peer Evaluations still offered? Yes. EPA conventions offer the opportunity for you to have an experienced colleague critique your publication and offer suggestions on improvement. Learn more here. What time will the convention end? Our Tuesday evening program is scheduled to end about 7:45 to 8:00 p.m.
Can we bring sample copies of our publication? Please do. Bring up to 50 copies of your latest issue to share with others on the magazine tables. If you want to ship them in advance, they must arrive no earlier than Wednesday, April 3, and no later than Friday, April 5. The Evangelical Press Association is a professional organization of Christian print and digital publications: magazines, newspapers, newsletters, and content-rich websites. EPA is the world’s largest professional organization for the Evangelical periodical publishing industry.